OXLO, Oslo Extra Large – a city for all is the City of Oslo’s vision for an open and inclusive city, irrespective of ethnic or cultural origin, religion, sexual orientation and gender identity, disability, age, gender, or other background. 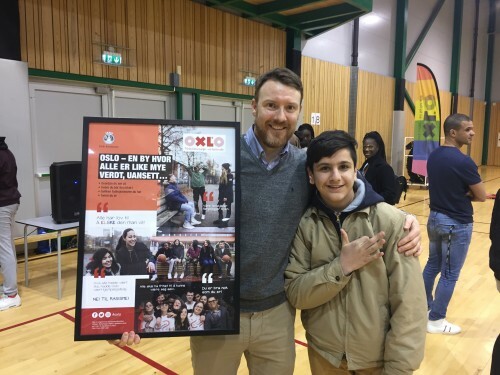 OXLO was created unanimously by the City of Oslo’s city council following the tragic racially motivated murder of 15-year-old Benjamin Hermansen in 2001. The values of OXLO are that Oslo should aim to be a city where everyone has equal opportunities and equal value, and were we say firmly no to racism, discrimination and differential treatment.